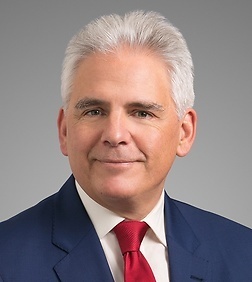 Nicholas W. (“Nico”) van Aelstyn is a partner in the Real Estate, Land Use and Environmental Practice Group in the firm’s San Francisco office. Mr. van Aelstyn has more than 25 years of environmental counseling and litigation experience. His environmental compliance counseling practice focuses on climate change, Brownfields redevelopment, sustainability and other regulatory and transactional matters. His climate change practice encompasses California’s Cap-and-Trade Program (rulemaking, compliance, enforcement and emission trading contracts), the Low Carbon Fuel Standard Program and other aspects of AB 32, as well as related state, federal and international programs and international offset projects. Mr. van Aelstyn's environmental litigation practice focuses on cost recovery actions, regulatory enforcement actions (e.g., administrative enforcement proceedings brought by CARB, DTSC, DPR, AQMDs, RWQCBs and other agencies), writ proceedings to challenge regulations and representation of PRPs and PRP groups at Superfund sites; he has particular expertise with contaminated sediment sites. His broad litigation experience also includes commercial, real estate, intellectual property and appellate cases. He has handled matters in state and federal courts across the country, including the U.S. Supreme Court, and various administrative fora. Advising numerous clients with respect to regulatory compliance issues under both state and federal greenhouse gas regulatory programs. Casmalia Resources Superfund Site, Santa Barbara County, CA (EPA Region IX): disposal site; common counsel for small PRP group and coordinating counsel for larger PRP group; negotiated favorable settlements. Contaminated Property Litigation. Mr. van Aelstyn represents property owners and tenant operators in cost recovery lawsuits regarding contaminated property in state and federal courts. These have included cases concerning a variety of contaminants (VOCs, petroleum products, etc.) and types of property (shopping malls, industrial and rural properties). One extensively litigated case concerned a dispute between the owner of the fee estate and those holding the oil and gas interests. Mr. van Aelstyn successfully negotiated settlements in all of these matters. Brownfields Redevelopment. Mr. van Aelstyn has handled the conversion to productive use of numerous properties with complex environmental issues. He negotiated some of the first prospective purchaser agreements (PPAs) in the country, which concerned the conversion of former disposal sites to retail use. Other Environmental Matters. Mr. van Aelstyn represents clients in a wide variety of other environmental regulatory matters, environmental due diligence for renewable energy projects as well as corporate transactions and lawsuits. These have included numerous large scale wind solar projects across the U.S. and complex transactions concerning multiple facilities with contamination issues. He’s also represented clients in lawsuits concerning enforcement actions under the Clean Water Act and the applicability of U.S. dolphin-safe tuna fishing statutes to U.S. citizens on foreign-flagged vessels.